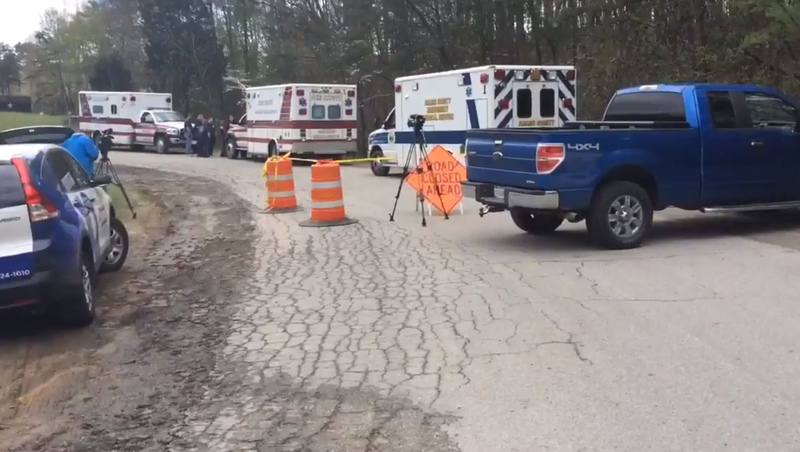 PIKE COUNTY, Ohio --An eighth body was found near where five adults and two children were shot dead in what appear to be execution-style murders in three Ohio homes Friday, according to local and state officials. The first seven victims located are believed to be from the same family. They were gunned down in three Piketon, Ohio homes Friday, the Ohio Attorney General's Office has confirmed. The eighth person was found at a fourth location, according to authorities. It is not clear if that person is an adult or juvenile. The incident is not being treated as an active shooter situation, but no arrests have been made, and authorities have not determined if the shooter is among the dead. Pastor Phil Fulton, from nearby Union Hill Church told CBS affiliate WKRC that he knew the family. "The kids seemed to be very friendly. Always, you know, just good, it seemed like. Like all other kids," Fulton said. "How tragic this is. How sad this is," Fulton said. The Pike County Sheriff's Office and the Ohio Attorney General's Office are investigating. The FBI's Cincinnati office confirmed in a tweet Friday that it is monitoring the situation and has offered assistance to the Pike County Sheriff's Office. Lockdowns at nearby Peebles High School and Peebles Elementary School have been lifted, WKRC reports.